Zep is a leading innovator, producer, and distributor of maintenance and cleaning solutions for retail, food & beverage, industrial & institutional, and vehicle care customers. Zep brings a large portfolio of premium brands built over an 80+ year legacy of developing the most effective products trusted by professionals and consumers to get the job done right the first time! A concentrated solution that provides fast and powerful cleaning of driveways, slabs, quarry tiles, asphalt, brick, patios and concrete surfaces. The Zep Commercial® Driveway, Concrete & Masonry Cleaner Concentrate helps to rejuvenate your outdoor floors by working hard on tough stains to remove oil and grease, quickly and easily. Can be used with pressure washers or applied neat to the surface. One 5 litre bottle can make up to 100 litres of cleaning solution. The Zep Commercial® Driveway, Concrete & Masonry Cleaner Concentrate is available to buy at Screwfix and Toolstation, online and in stores. The Zep Commercial® Liquid Heat drain unblocker has been designed to quickly dissolve food and grease which is the main cause of clogs that occur in kitchen sinks and drains. The commercial strength gel can be poured through standing water straight to the clog. It is safe for use in all types of pipes and septic systems and can also be used to destroy other types of clogs within minutes. The Zep Commercial® Liquid Heat drain unblocker is available to buy at Toolstation stores and online. 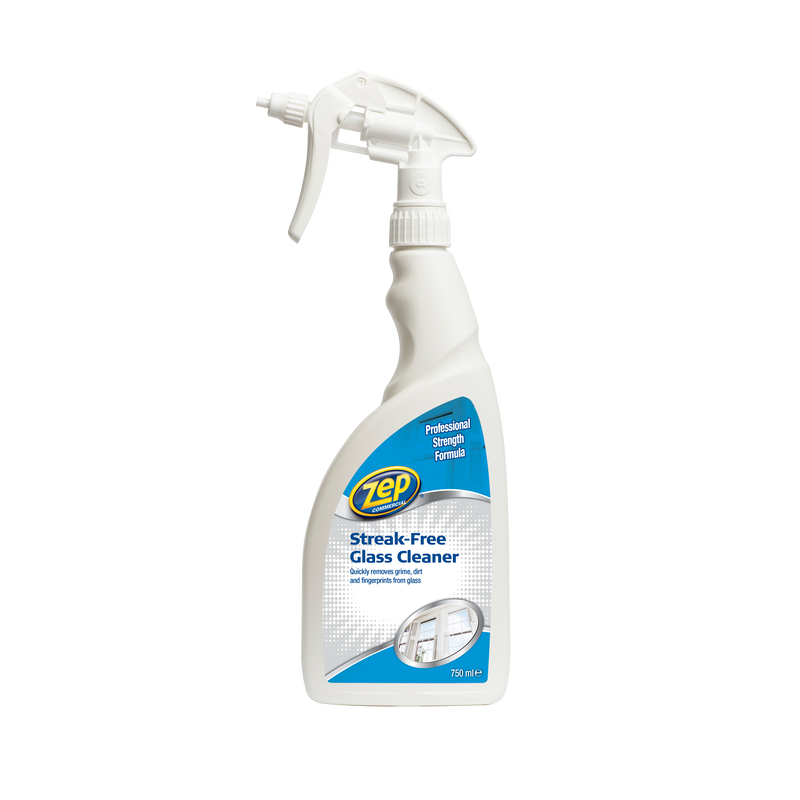 The Zep Commercial Streak Free Glass Cleaner quickly removes dirt, grime and fingerprints from a variety of hard surfaces, such as windows, mirrors and vehicle glass. The specially formulated product has been designed to leave surfaces sparkling without streaks or residue. It can also be used on plastic surfaces such as UPVC frames to make cleaning windows and doors easier. 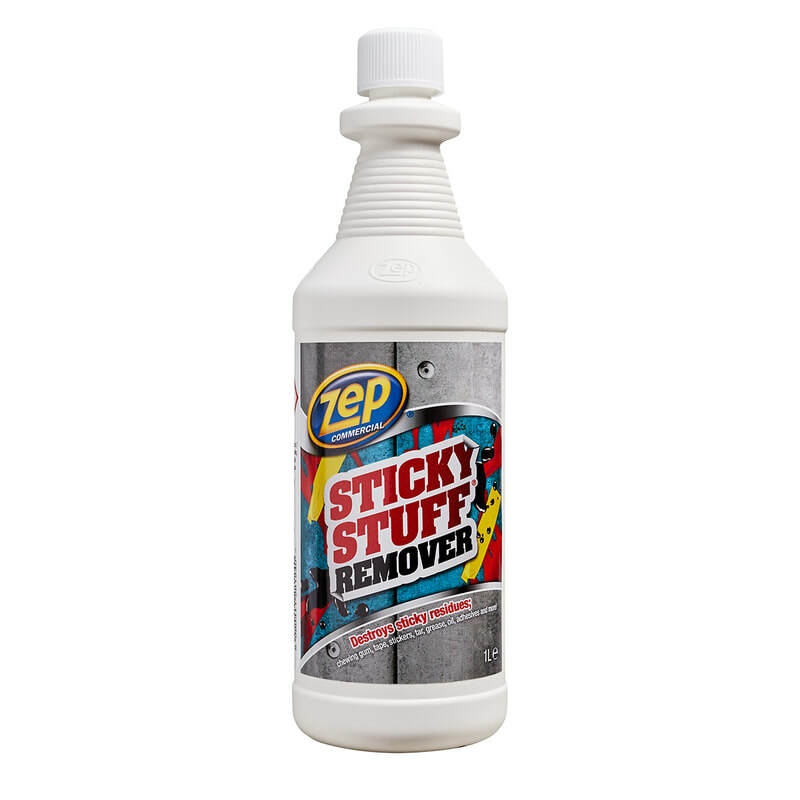 The Zep Commercial Streak Free Glass Cleaner is available to buy instore and online at Toolstation. A ready to use daily floor cleaner, the Zep Commercial Hardwood & Laminate Floor Cleaner restores your wooden and laminate floors back to their original shine. The ready to use trigger spray means the product can be applied easily with no need for a mop and bucket, just spray and wipe! It can remove spots, stains and scuffs without leaving a greasy residue behind. 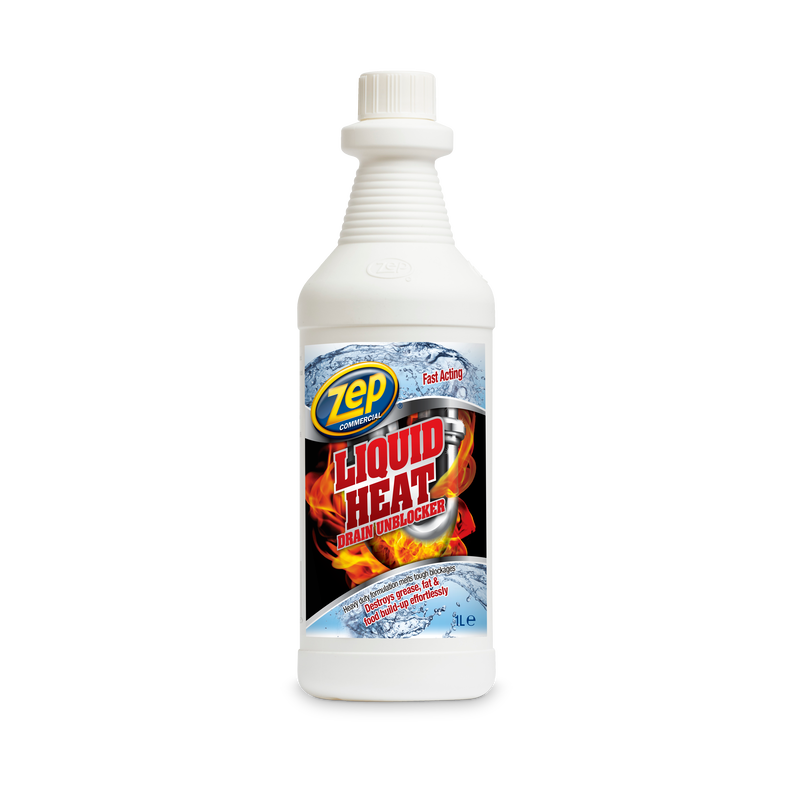 It can also be used to clean wooden baseboards, moulding and cabinet doors. The Zep Commercial® Hardwood & Laminate Floor Cleaner is available to buy online at amazon.co.uk. 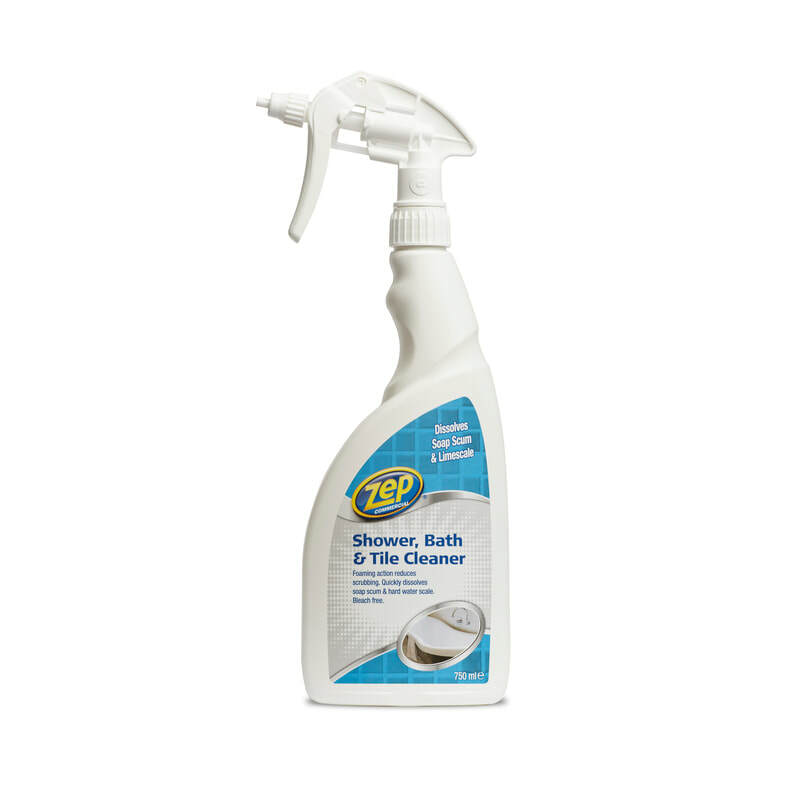 The Zep Commercial® Shower, Bath & Tile Cleaner makes surfaces in the bathroom gleam. The product has been specifically formulated to quickly breakdown and dissolve mineral deposits, soap scum, general dirt, rust and hard water scale without the use of bleach. It has a foaming action that reduces the need to scrub, leaving all types of showers, shower heads, baths, taps, sink basins, ceramic tiles and chrome sparkling like new. It can be used on acrylic, fibreglass, ceramics, porcelain, laminate and Corian®. The Zep Commercial® Shower, Bath & Tile Cleaner is available to buy at your local Screwfix store or online at Screwfix.com. 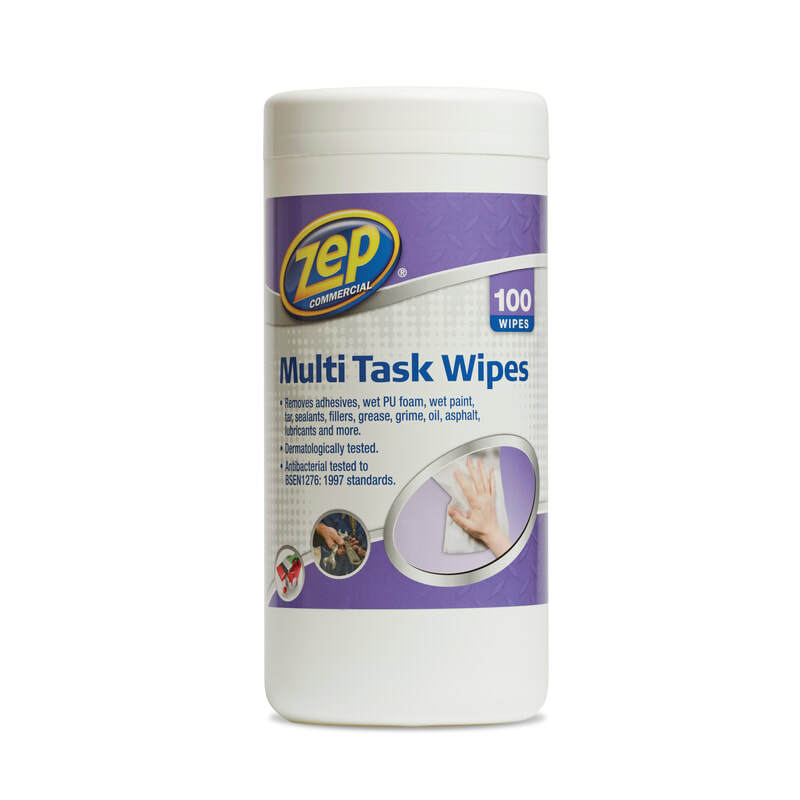 The Zep Commercial® Multi Task Wipes are made from a heavy duty material that is saturated with a high performance cleaning solution that has been antibacterial tested to BSEN1276: 1997 standards. They are perfect for use in kitchens and bathrooms and can remove adhesives, wet PU foam, wet paint, sealants, fillers, grime, scuff marks and much more. As these wipes have been dermatologically tested and they contain Aloe Vera and vitamin E they are great for use on hands as they keep them soft and moisturised. The Zep Commercial® Multi Task Wipes are available to buy at Screwfix and Toolstation.